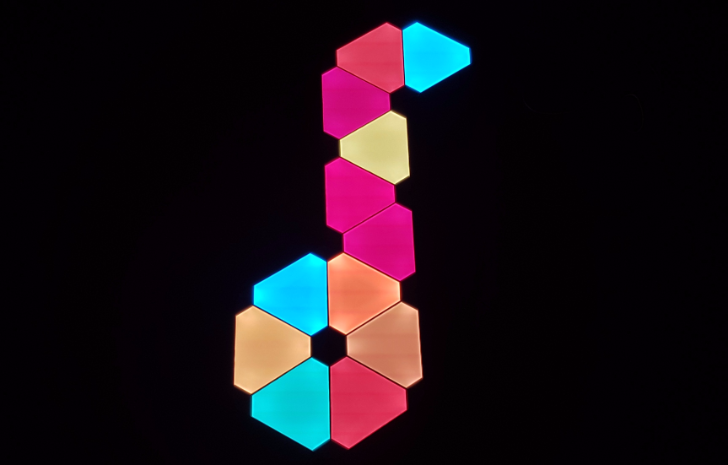 Some of you may have already heard about the Nanoleaf Aurora. These modular triangular light panels can be formed in any shape you like and are WiFi-enabled, allowing you to control them via your phone or Google Home and Alexa. But those of you who haven't will probably scroll down to see the high price tag and scoff in disbelief. $229.99 for a set of 9 light panels and a music module is a rather extravagant price to pay. But that's exactly what the Nanoleaf are: extravagant. They go a step beyond smart lights like Hue and LiFX and straight into "cool art deco" territory.